We are following a unique process, consisting of simple yet effective steps. 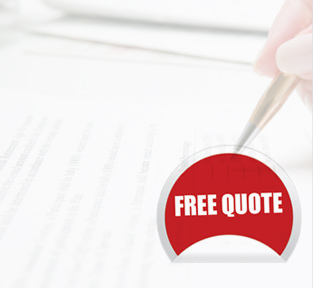 Our professionals ensures smooth transition and the quick completion of the outsource project. Ecreasys understands the importance of project success depends on well-created planning and thus, we provide a roadmap to professionals to follow. Our outsourcing process helps us to conduct smooth transition and complete project successfully on time. When you send your inquiry form, our sales executives prepare a detailed proposal for your business and contact you through appropriate communication mode (preferred by you). We take enough time to listen to you and know what exactly you are looking from us. We put project plan in writing after understanding your needs. After that, we outlined the work that should be performed. Here, we also determine resources that required for your projects. During this phrase, we calculate your project’s cost and determine deadline to deliver project. Additionally, we also create agreement with all terms and conditions that discussed between your business and ours. Once legal process gets completed, we start with your project through iterative process. We work step-wise to identify activities and tasks required for your project. Besides, we also identify appropriate resources for every task. Once project get completed, our testers will review your entire project to check quality and other functionalities. We ensure to deliver product that meets the customer specifications. We don’t leave after project gets completed, but we provide after support service, in case you have any problem related to our service.